After Tartar raids in the 13th century left the original church in a heap of ruins, St. Mary’s was rebuilt in Gothic style on the existing foundations and consecrated in 1320. 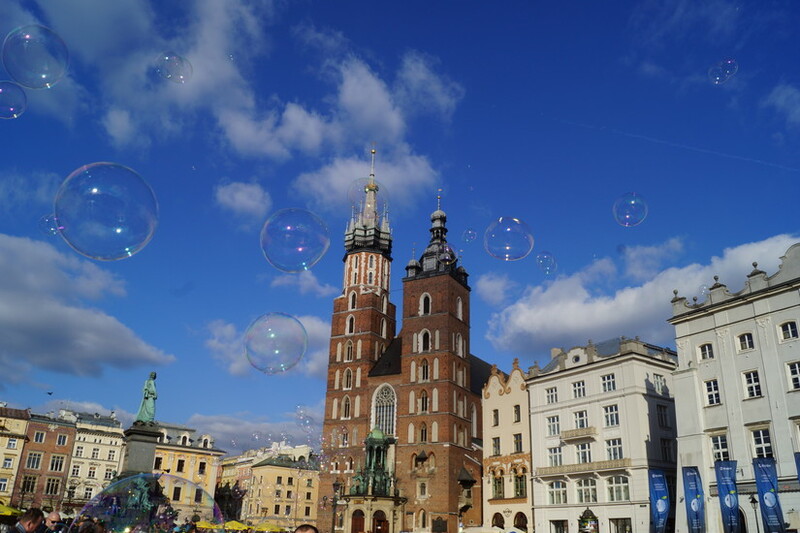 In the early 15th century the towers took the iconic form they have today, when the northern tower was raised to 80m high and made into a watchtower for the city. 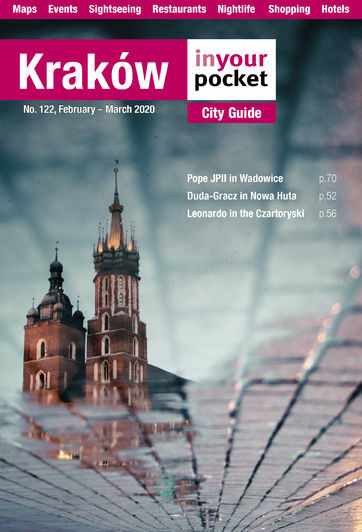 It is from here that the hejnał mariacki - the city's famous bugle call - is played every hour on the hour. One of the city's most enduring traditions, the tune ironically breaks off mid-melody in honour of the mythical trumpeter who was shot in the neck while belatedly warning the city of Mongol invaders; don't miss it. 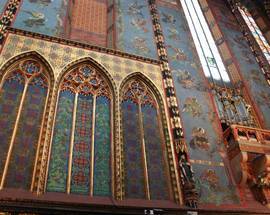 The church is typically available for worship without paying an entry fee via the main entrance. Tourists are asked to use a side entrance, however, and not visit during services; we list the tourist visiting hours below. Tickets are purchased in a separate building across from the tourist entrance. 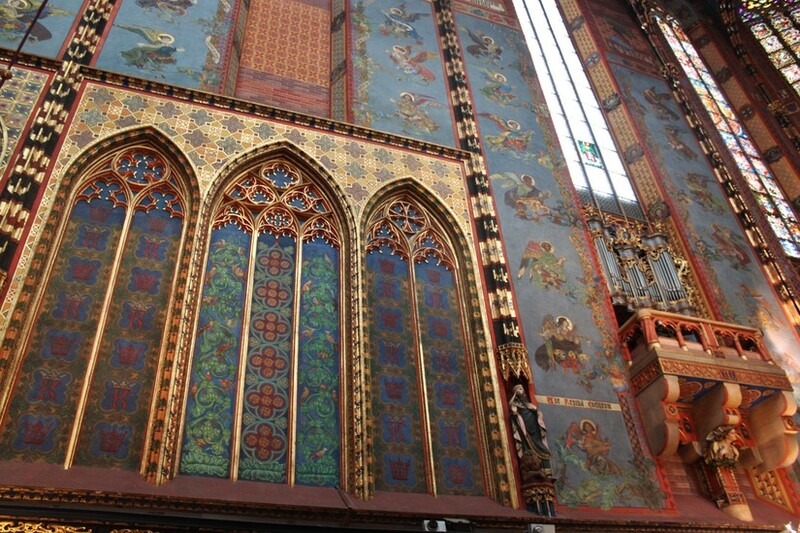 The two church towers are also open to tourists, but require separate tickets. 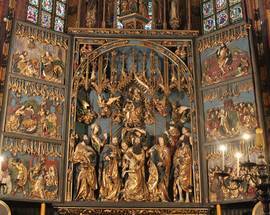 Church open 11:30 - 18:00, Sun 14:00 - 18:00; admission 10/8/5zł, kids under 8 free. 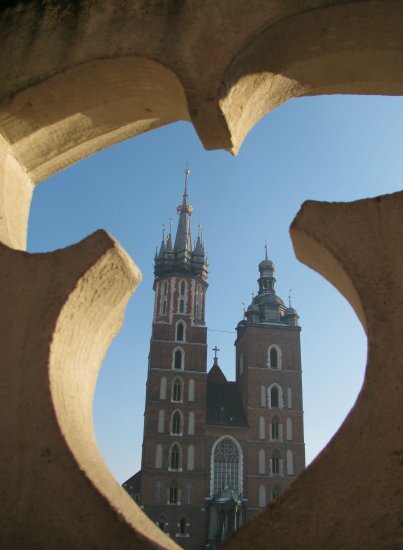 Mariacki Tower open Tue-Sat 09:10 - 17:30, Sun 13:10 - 17:30; admission 15/10zł, no kids under 7. 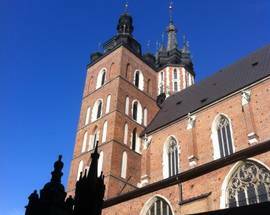 Bell Tower open hourly Tue-Fri at 10:00, 11:00, 13:00, 14:00; admission 15zł, no kids under 12. Admission 10/8/5zł; kids under 8 free. 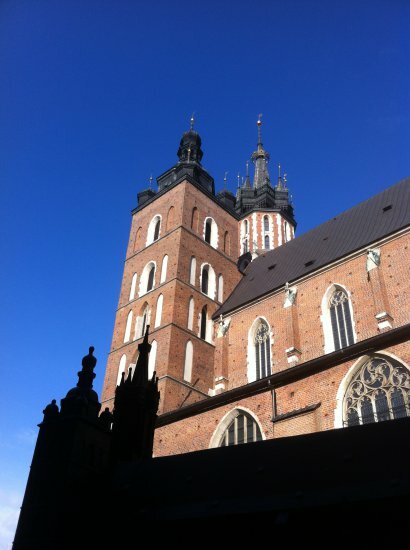 Amazing Basilica right in the main square, take a climb up the tower on the hour to get a real close up of the Hejnal. A Tip, if you enter via the front doors you avoid paying the entry fee. 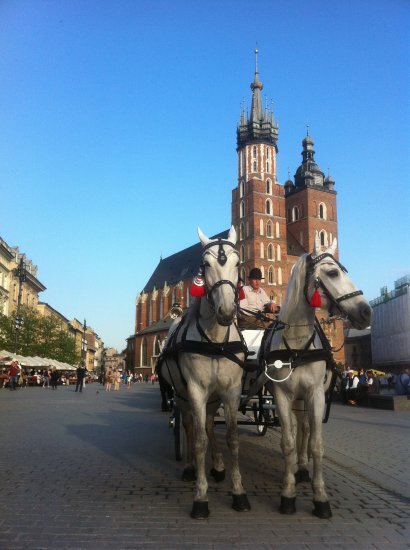 I have been to Cracow last August and I was greatly fascinated with its beauty. 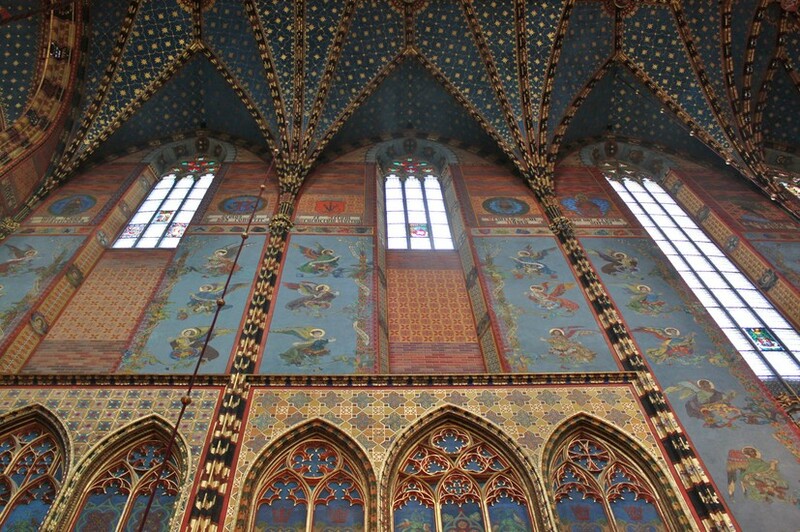 Among the places of interested I have visited St. Mary's Basilica in the Main Square. Its beauty took my breath away and left me speechless. 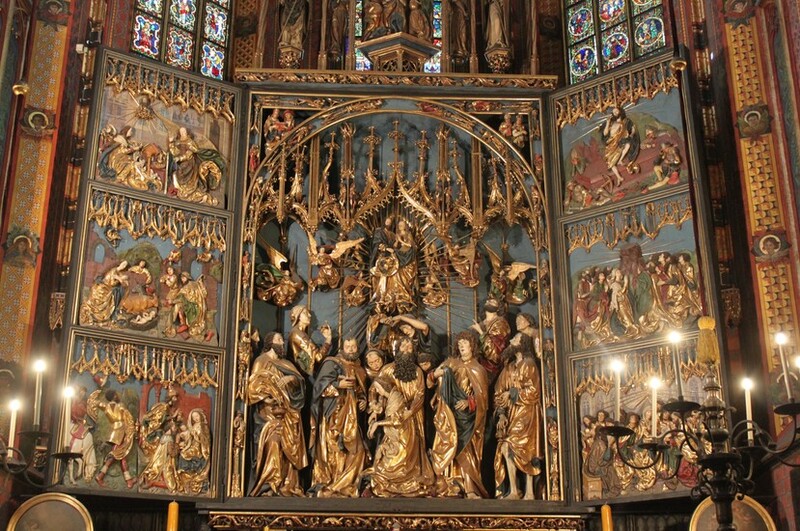 Just before I left this beautiful church I noticed that there are two pulpits, I wonder why as I have never seen a church with two pulpits and I have sisited several basilicas, cathedrals and other churches in different countries. Can anyoneone please let me know why? 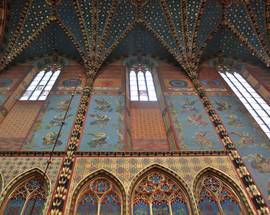 A beautiful, fabulous church full of wonderful carvings and pictures. 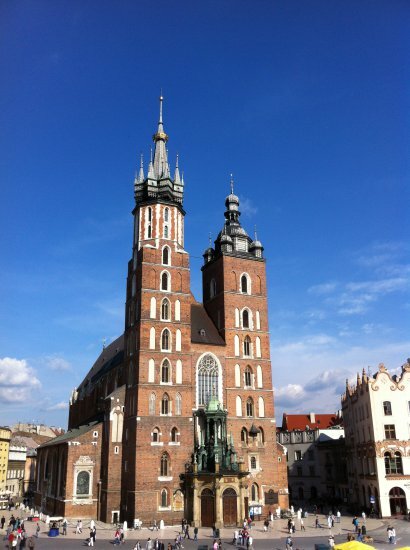 Like all churches in Krakow it is filled with historical interest. 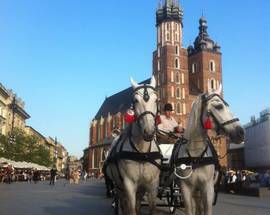 Krakow is wonderful if you love fine buildings, restaurants and places to drink and socialise.